Had poorly insulated rim joist headers in a finished basement that were suspected of causing some moisture issues. These header spaces were spray foamed by Beyond Foam. They took a great deal of care to prep the area and there was zero overspray. Have used this company before to spray foam the attic in a previous house. Company exceeded expectations on both occasions. Highly recommended. Thanks for your review of our company. We really appreciate your continued business. Domestic hot water overhaul and hydronic heating maintenance. We have a home that had two 40g hot water tanks to supply domestic hot water demand and a boiler that supplies underfloor hydronic heating to the basement and garage. It came time to replace those two hot water tanks as both were 20years old. Had several plumbers out for a quote and to offer different ideas to remedy the situation. In my opinion, Arpis offered the most cost effective option that was presented to us. Arpis also gave us the impression of having the most confidence for the job which won them the bid in the end. We wound up eliminating both hot water tanks and go with a Heat-Flo 80g indirect hot water heater which feeds off the boiler. This method kept the boiler active all year rather than have long periods of dormancy during summer months. It also consolidated 4 natural gas appliances in the basement (2 gas water tanks, furnace and boiler) down to 2 appliances (furnace and boiler). The other option provided by 2 other companies was a tankless system to supply domestic hot water but this involved installing a larger gas line into the house and the recommendation for a water softener ($). To install the Heat-Flo was no small feat as the main primary loop around the boiler had to be reconstructed. Heat-Flo tanks are pretty neat because they are very efficient and supposedly only lose 0.5 C of temp every hour. It took approximately 2 days to install which matched the time estimated in the quote. It was done very efficiently and professionally. Over 1 month later and we have abundant hot water and ample hydronic heat. A 10% deposit was requested by the company for the parts to be ordered which I thought was fair. The remaining 90% was invoiced after repairs were complete and when we were satisfied with the work. There were no cost over-runs or surprises. Contractors showed up on time and left on schedule. Drop cloths were used to protect our floors and they ensured minimal disruption to water service during the revision. They did a small sink leak repair on the side at no extra cost which was appreciated and provided a lot of education on boiler maintenance which was great. The entire underfloor heating lines also had to be drained as previous owners had only water in the lines :-( Arpis replaced with a proper glycol mix. Arpis also inspected and cleaned the boiler unit. Would recommend to another homeowner. Thank you for your review! We are so pleased you are happy with your new equipment, and we look forward to working with you in the future! Bought a stucco house in February that had some stucco damage to deck pillars (cracked, water damaged) and the stucco in other areas had a lot of staining in some areas. Rather than restucco those pillars, Richard had suggested to go with a stone product that would be more weather resistant and to repaint the house with an elastomeric paint for better weather resistance. While we were waiting in the queue for painting we encountered a few surprises that were not caught on our purchase home inspection such as improperly caulked windows which exposed two acute on chronic leaks. These leaks required us to drop our queue for paint while removing stucco to fix damaged elements from window leaks. 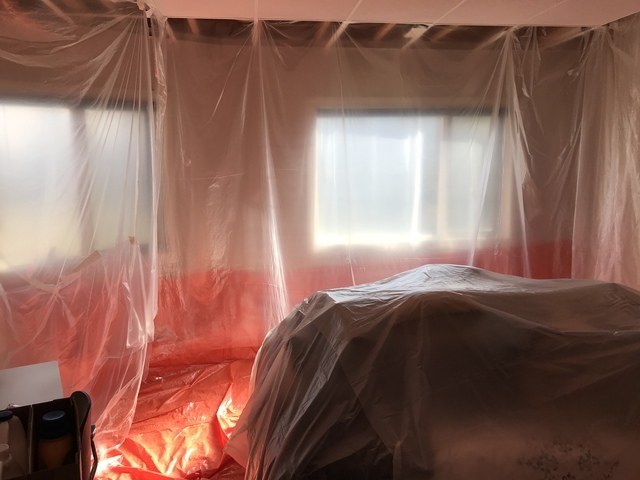 It was a stressful summer for us dealing with the water damage issue but we appreciated Richard's patience (and his other subcontractor's patience) while we dealt with the water repair (done by another company). Richard sent over a stucco repair guy to fix the stucco that was removed in order to fix water damaged areas (Marcel & Pete). Marcel/Pete were real artisans with stucco and their experience impressed. Once the stucco repairs were complete, we were quickly re-accomodated for paint. Richard's paint crew (Jose) were impeccable and extremely hard working (one of the hardest working contractors we had all summer). We were really happy with the final result. Khalid did our stonework and he was exceptionally skilled. Simon from Basco windows was an exceptional guy to work with. He saved us thousands by evaluating the windows and recommended to fix the cladding and caulk. Mike from MCI did a really great job on the deck eves and he was also very patient while waiting for repair crews to finish. The only minor glitch of the entire process was that we wanted a recommendation for a general contractor for vinyl decking/water damage repair but it didn't pan out as his guy was pretty swamped at the time. However we were able to make alternative arrangements that worked out. In summary, everything was delivered on as promised and there were zero requests from any of his contractors for deposits up front (Marcel said this was amateurish which gave me a good chuckle). All his contractors were exceptional, required zero supervision, and all did the job above industry standard in my opinion. The work sites were left clean and the billing was crystal clear. Before and after pics included. I mean what can I say about this one. I mean I could write a book at everything we went through with this home (April - July - constant renovation). Long story short. Everything got done, and got done right, one trade after another. I want to thank you for everything you said. We appreciate your business. Call me if you need anything in the future, this home was our pleasure. All our trades thank-you. Purchased house in February. 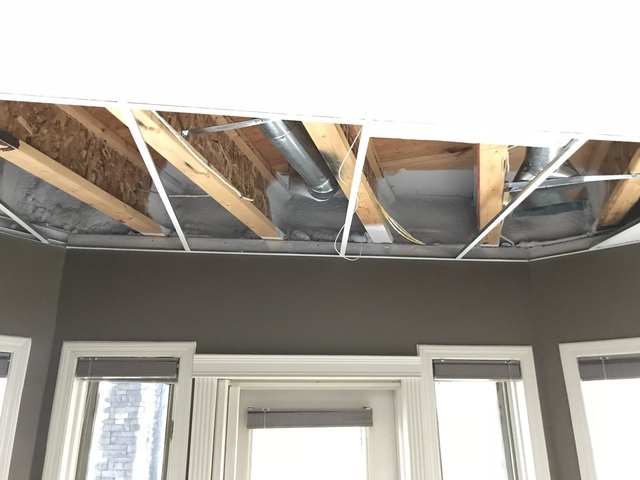 We discovered an acute on chronic water damage issue (from a window caulking failure+\-vinyl decking failure) that caused significant water damage around two windows that also damaged exterior OSB below window frames and rotted rim board/ledger board segments below the two windows. Work entailed to remove vinyl decking, affected deck plywood, remove stucco to expose the rotted OSB, remove 6-8 inches of stucco above entire deck surface to prep for new vinyl, remove & replace rotted OSB, remove and properly seal two affected windows over the deck, remove & replace two segments of rim board/ledger board, and cut/sister-in joists under deck. This repair was not covered by insurance. We interviewed 4 companies for this job and also read many reviews before hiring. AICO was the last company we interviewed and was also the successful bid for this project. They were chosen not because they were the cheapest (they were in fact initially higher than some of our early quotes) but because of good first impressions, mostly positive social media reviews and a project manager/owner that offered a lot of empathy and reassurance. The owner also made a point of driving out and introducing himself and to assess the job requirements. Unfortunately, a few days prior to the reconstruction phase we got caught up in an internal company issue where the project manager assigned to our repair took employment with another company. This subsequently caused significant delays to our repair and resulted in a lot of stress in sorting the issues out. A summary of positive and negatives include: Pros - had an excellent first impression as project manager and company manager visited homeowner and were present at the same time as the insurance adjuster to help make a case for insurance coverage (which unfortunately did not pan out). However their effort to plead on my behalf impressed. - Availability to start repairs was very fast (until internal issues arose that delayed the project) - the company manager was easy to reach and was attentive to customer concerns and provide solutions/negotiate. I was especially impressed when the manager arranged a conference call on a Friday evening at 9pm before a long weekend to discuss issues that arose with a subcontractor . Another positive experience was that the 50% deposit was able to be negotiated. After we felt uncomfortable with a 50% deposit, they were able to compromise with a 20% deposit and 80% on completion. - accountability: When discrepancies were noted in billing or accidental damages occurred in the home - the company owner took responsibility of the problem and took reasonable steps to resolve the issues - company manager did a visit on completion to pick up the final payment but also came in to check repair. He did take steps to resolve a substandard repaired baseboard that did not meet homeowner quality expectations. - Company used treated wood to replace ledger board and rim board - Company consulted a structural engineer (of homeowners choice) prior to any rim board repair. This was an extra expense that the homeowner took on but their caution with structural integrity left a positive impression. Cons - Company is not a BBB member - The job to repair affected areas of the first window was quoted for the "job". To repair affected areas of the second window (which was discovered later) the manager gave us two options: pay for the job or pay hourly. I was advised hourly was less confusing and likely the cheaper of the two options. In retrospect the hourly billing became confusing and some discrepancies did arise. However, the company was very responsive to when the discrepancies were brought up and charges were amended (it was a lot of extra work for us to figure out billing). - Prepayment: During reconstruction phase, 50% down payment was requested before any work was done. However owner was able to negotiate 20% prepayment for us when we didn't feel comfortable with the first request. In summary, the company did complete and deliver on the repair work. The owner was very responsive to our concerns until job completion. Due to unforeseen issues, the job wound up being quite stressful and it did not go smoothly as we had anticipated. On a positive note, the owner of the company was pleasant/flexible to work with through the entire experience. Felt that the company could improve on some major issues such as having way more quality control audits (more frequent manager drop-in or have quality control personnel to drop by and scrutinize work: no job is too small in my opinion for this step). Audits would also ensure workers are placing proper protection to flooring and containing construction debris. Better measures need to be taken to affix tarps better to exterior stucco areas under construction. Hourly billing option was stressful . Another recommendation for improvement is to reevaluate asking for 50% deposits unless there is a prepaid contractor license. We felt paying 50% prior to any work commencement was atypical. We understand there were some set backs as you listed. Unfortunately set backs occur, we try to set ourselves aside by making sure the project is seen out to the end and we leave the customer with proper craftsmanship and the project complete. We pride ourselves on honesty, integrity and doing what we say. Move; NE Calgary to Chestermere. It took awhile to get settled into my new home and I've put off this review for awhile (moved in Feb 2017). I got a few quotes from other companies we decided to choose Impact Zone as they have a good reputation on home stars. The company arrived on time and brought the right size of truck. Most importantly, this company did not subcontract out the job. The movers were very careful, professional, and polite. No damages to the old/new home while moving in/out occurred and no damage to possessions occurred. Our possessions were stored in a garage of the new destination due to a small delay in possession. They did such a good job, we decided to have them come back out and move things out of the garage and back into the home. The only minor disappointment was a bit of a surprise on the bill when they returned to move stuff out of the garage into the house (<1hr job, no truck required) - it seemed much more than what was verbally quoted on the first move day but partially my fault as I should have got that price in writing (I think they left out mentioning they were charging return mileage). My only other hiccup that I had was that I had to contact the company a couple of times to get a confirmation email of move date sent sent out. No company is perfect, so I always include the good parts and areas for improvement. Overall, we were very satisfied with the move and would recommend to another. Thank you for the kind words, we try our best. Normally we don't send out email confirmations but will try accommodate what the customer wants so we were a little tardy getting you email out, with no protocol for this and the long hours we normally work I forgot to send. I do apologize for this and that you were shocked by price on the return trip, I thought I billed what we talked about, but am not perfect and would have adjusted if you reminded me if I quoted different. Hope your family enjoys your new home, it is very nice. Bought a house with a 20 yr old cedar roof that needed some major TLC. The ridge caps were all in poor shape and all needed to be replaced. Together with a number of other shakes needing replacement - it was a substantial job. Also had a section of flat roofing that needed to be replaced as it was worn. Got multiple quotes for the entire roof to either repair it - or replace it. The good news was that the roof (after repair) would last another 20-30 years which made financial, and aesthetic sense to me. After having some miscommunications from another cedar company it was a relief to have had contact with Art from Arco roofing. They came out and thoroughly inspected areas that the other company had missed or neglected to comment on entirely. Art offered a lot of reassurance and education about cedar roofs to a person who just inherited one. The best part about Arco roofing was the communication. There are NO surprise show-ups and timelines or delays are clearly laid out - (so yes expect calls, emails or text messages from Arco which is great!). The crew that came out were very polite, professional, and cleaned up the site well. The flat roofing (non-cedar) section was subcontracted out to Epic Roofing and Art did all the work in aligning schedules so that there would be a good overlap. Haven't noticed any leaks since install but it all comes with a 5 year warranty (including the section Epic did). Would be happy to refer Arco to another homeowner. Thanks for the review! So happy to hear you were pleased with our work! See you in 5 years!